The Hollywoodbets Dolphins will meet the Multiply Titans in the final of the Momentum One-Day Cup after they brushed aside a feeble Warriors team in the second semifinal at Kingsmead in Durban on Thursday. After winning the toss and inserting their opponents on a good albeit slowish surface for batting, the Dolphins dismissed the Warriors for a paltry 119 in 34.3 overs and knocked off the required runs in 19.1 overs for the loss of three wickets just as darkness fell. It was a mark of the careless batting that characterised the match, however, that all three Dolphins’ wickets were needlessly thrown away. Having added a comfortable 69 for the first wicket with Vaughn van Jaarsveld, Sarel Erwee (35) pulled a long hop from Sisanda Magala straight to Thomas Kaber at deep square leg. Then Senuran Muthusamy, having hit the only six of the match, contrived to run himself out almost farcically for 11. Finally, Van Jaarsveld, having cracked nine handsome fours in his 43rd List A half-century, was bowled by Kaber essaying an ugly slog. The Dolphins won easily enough in the end by seven wickets, with Dane Vilas and Khaya Zondo promptly finishing off the match, but they will need to be more clinical when they face the formidable Titans at SuperSport Park on Sunday. Earlier, man of the match Keshav Maharaj spearheaded a rampant Dolphins’ attack that made short work of a fragile Warriors’ batting line-up. The left-arm spinner bowled particularly well to capture 4-36 in his 10 overs but it has to be said that he received some assistance from the batsmen, as did the other Dolphins' bowlers. It was a deeply disappointing batting effort by the visitors, who conceded a number of soft dismissals, including the needless dismissal of top-scoring Lesiba Ngoepe who ran himself out almost as palpably as Muthusamy for 34. Indeed, matters could have been even worse for the Warriors if the Dolphins hadn't dropped two easy catches in the outfield. Although the spinners captured most of the wickets, the home team will be pleased with the pace partnership of Eathan Bosch and Daryn Dupavillon who was making his first appearance for the franchise this season after a long spell in the wilderness with various injuries. Bowling with real speed and aggression in the mid-140s, Dupavillon made the opening breakthrough when he had opener Matthew Breetzke caught behind by Vilas after he was beaten for pace. Bosch then chipped in with the wickets of Gihahn Cloete and Jon-Jon Smuts to have the visitors struggling on 28 for three. It was then the turn of Maharaj to strike, with the left-arm spinner trapping the in-form Sinethemba Qeshile leg before with his first ball that curved sharply into him. 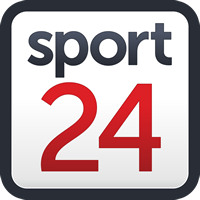 The Warriors gained some reprieve with a partnership of 46 in 74 balls for the fifth wicket between Ngoepe and Marco Marais (29). Maharaj then struck again to break the partnership, holding a delivery back cleverly to have Marais playing too early, scooping a simple catch to extra-cover. In his next over Maharaj took two wickets in four balls as he caught and bowled Onke Nyaku – once again deceived in the flight – and then bowled Thomas Kaber neck and crop through the gate. The final two wickets went to Maharaj's spin twin Muthusamy with Andrew Birch caught in the deep and Sisanda Magala clean bowled by a yorker. HOLLYWOODBETS DOLPHINS: Sarel van der Merwe, Vaughn van Jaarsveld, Senuran Muthusamy, Dane Vilas (wk), Khaya Zondo (capt), Andile Phehlukwayo, Sibs Makhanya, Keshav Maharaj, Prenelan Subrayen, Eathan Bosch, Daryn Dupavillon. WARRIORS: Gihahn Cloete, Jon-Jon Smuts (capt), Matthew Breetzke, Lesiba Ngoepe, Sinethemba Qeshile (wk), Marco Marais, Onke Nyaku, Thomas Kaber, Lutho Sipamla, Sisanda Magala, Andrew Birch.